Tobias Hornof sent us one of his designs, the Samsung Galaxy S5 concept, that’s shown below. 6 years ago, Tobias created the Nokia 8900 render, that was reasonably famous in its day and now he’s back with a fresh flagship. This is a clear evolution of the Galaxy S design, with an edge to edge screen, a narrower case and what seems to be a capacitive Home button. The Samsung Galaxy S5 concept here feels like an unibody design and we also get a pretty slim waistline and discrete camera at the back. The device has a 64 bit processor, 32 or 64 GB of storage, a 16 megapixel camera with dual flash module and an 8 megapixel front camera. We’ve got Android 4.4 or a certain “Samsung OS” on board. 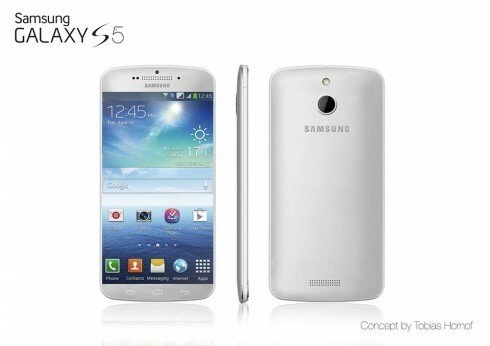 As speculated before, this Galaxy S5 has an aluminum unibody design and a touchpad that includes a fingerprint sensor. 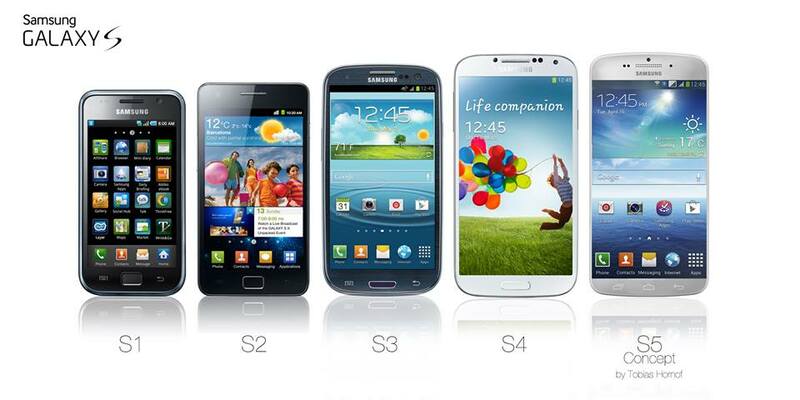 Below you can see a comparison between all the Samsung Galaxy S models launched till now and I have to say that the Galaxy S II still looks pretty… but the S5 is clearly the most evolved.